This month we are focusing on planning for next School year and Testing! It is that time of year again when programming and planning must take place. Also, the CA Assessment of Student Progress and Performance test is coming in May and you will see some help topics to prepare yourself and your student for this experience. Also, 8th grade families, please review the information regarding your student's promotion and end-of-year activity eligibility. This is important information to keep in mind as we start the new quarter and the last academic push begins. There are some fun things in the works here at the Counseling Department, including looking into bringing the Parent Project Workshop during the 2016-17 School Year, extra mental health staffing, new electives for our 7th and 8th grade students in the new school year including Peer Mediation, and the start of the Kids Cook With Heart program during 6th grade elective classes. Please contact Sabrina Wilson if you are interested in volunteering in the classroom during Kids Cook with Heart, they could use your help. 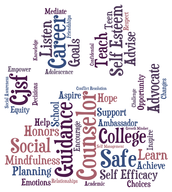 Also, please take some time at the end of the newsletter to take the Counseling Needs Assessment survey. This will help the Counseling Department evaluate what we need to work further on in the coming school year to meet the needs of our teachers, students and parents. As we look forward to 8th grade promotion and end-of-year activities, the Counseling Department would like to remind you and your students of the importance of keeping up grades and positive behavior for the final months of Middle School. All 8th graders and their families should take some time to review and discuss the criteria below for participation in end-of-year activities. You should have already received 3rd quarter grades which will help indicate your student's level of involvement in the end-of-year privileges. We will also be sending a letter to the families of students who are in Level 2 and 3 at risk of losing privileges. Level 1 - Graduation (full graduation privileges): Students receiving a 2.0 or higher GPA overall for the remainder of the school year. Level 2 - Promotion (partial graduation privileges): Students receiving between a 1.0 and 1.9 GPA overall for the remainder of the school year. Level 3 - Matriculation (no privileges): Students receiving less than a 1.0 GPA overall for the remainder of the school year. Families have been notified of a student’s Graduation Status at the end of the third grading quarter. With full privileges students graduate on stage and participate in all graduation events. With limited privileges, students may graduate on stage with administrative approval, but may have other privileges revoked. Matriculating students will move on to high school without academic promotion but do not graduate on stage nor are they eligible to participate in other graduation events. What is the California Assessment of Student Performance & Progress? YOU play a key role in helping students succeed in school and do well at test time, whether it’s encouraging a kindergartener in learning to read, or helping a college-bound high school student prepare for the SATs.  Have your child in school on time, every day, and make sure homework is completed. The more time spent learning, the greater the likelihood your child will do well on tests.  Meet with your child’s teachers to discuss what you can do at home to help with specific learning goals.  Find out what tests and assessments are used to evaluate his/her progress.  Involve the entire family as personal cheerleaders for the test taker.  Be encouraging – let your child know you think he/she will do well on the tests. 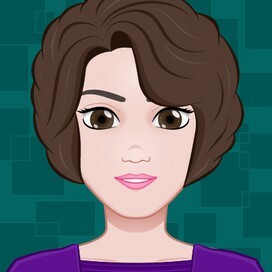  Avoid difficult family issues before the test to prevent unnecessary anxiety.  Make sure your child gets plenty of sleep the night before. On test days, have him/her wake up early, eat a nutritious breakfast, bring a snack and wear comfortable clothes!  Compliment your child for doing his/her best on the test.  Talk about what was learned on the test and how to improve.  When you receive results, don’t compare performance with siblings or friends. Ask questions and talk to your child's teacher or a district assessment specialist about implications of test results and possible follow-up action. Are high-stakes decisions based on student performance on this single measure? Are the state's standardized tests aligned to content standards? Are test results used to better inform teaching and learning? How does the school or district use this information to better meet student educational needs? Browse the resources below for more information about standardized tests, including new tests aligned to the Common Core State Standards. Learn about the purposes of standardized tests and how they are used, as well as how you can help your child prepare and questions to ask. PBS’ Frontline offers an easily navigable explanation of high-stakes testing that includes basic information about what tests measure, how they’re developed and scored, specific tips for parents, and links to additional resources. Though the package was produced in 2002, it's still a valuable resource. The National Parent Teacher Association partnered with experts on the Common Core State Standards to create parent guides for grades K-12 that include information about what children should be learning in each grade once the standards are implemented, activities that parents can do at home, and strategies for building stronger parent-teacher relationships. To find out more about your states CCSS’s implementation plans, check out their State Education Agencies page. 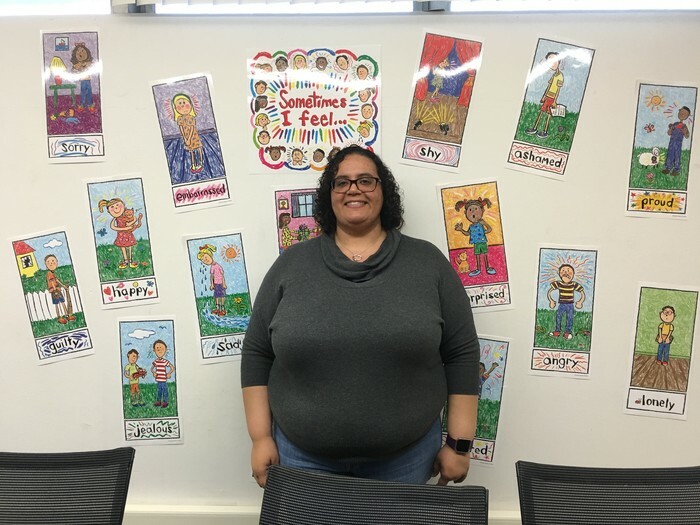 The Council of the Great City Schools has developed content and grade-specific parent roadmaps in English and in Spanish that provide detailed information for parents about the expectations of the Common Core in English Language Arts and Mathematics. Your child may be eligible for modifications to help him succeed in the classroom -- and on standardized tests. For more information about how students with special needs will be assessed on the Common Core State Standards, see “Application to Students with Disabilities,” from the website for the Common Core. 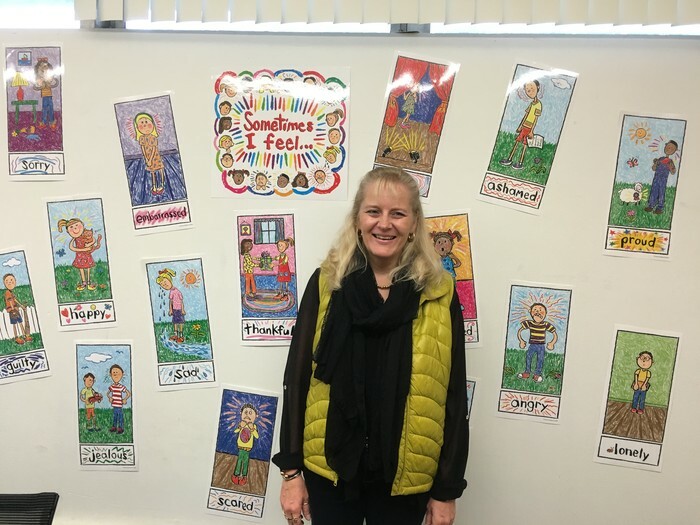 With creative thinking, mom of multiples faces the three-month challenge of keeping grade school- and high school-age boys active and learning. It seems like the year just started, yet we are already a few months shy of summer vacation. As a parent, I try to balance the summer months between fun and learning for my children. It’s important to experience quality time together as a family, take a vacation, and relax. It’s equally important to participate in educational activities and programs to help prevent the loss of learning. Also known as the summer slide, learning loss happens when children and adolescents don’t engage in educational activities over the summer. According to the U.S. Department of Education, studies have shown a notable trend of learning loss when young people aren’t involved in anything educational during summer break. We may hear more about it on June 19, Summer Learning Day. The nationally recognized day is meant to spread awareness about the importance of summer learning to help close the achievement gap. It might need more than a single day to build awareness of something so crucial. This summer, I will have four boys to plan for: a teen entering his senior year of high school, identical twins starting second grade in the fall, plus a newborn baby. With such big age differences, I’m always searching for summer activities and programs that are educational, affordable, and fun. I check local libraries, school districts, and even local chambers of commerce for summer programs. In preparing for summer activities, I consider my kids’ interests and our family’s “must-dos” for the summer. And I’ve learned not to wait too long to make our summer plans! Besides soaking up some sun on a pool or beach day, my boys enjoy day outings. Here are some summer learning ideas that I have found work for everyone in my family and may appeal to your kids, too. • Libraries: Nationwide, libraries have summer programs that are either free or low cost. Everything from summer reading lists to LEGO building contests, library summer programs are suitable for all age groups. For example, my teen can partake in a college prep online course, the twins can have fun with a storybook contest, and even the baby can be part of a “mommy and me” read-aloud playgroup – all under the same roof. • Museums: The unique exhibits, special interactive programs, and longer admission hours put museums and children’s museums high on the list for the summer. With interactive displays, especially at children’s museums, kids of all ages have the opportunity to be hands-on and learn on about science, history, art, technology, and various subjects. Many museums offer affordable day camps that focus on a particular theme like dinosaurs, space, or the rain forest. Last summer, our family visited the American Police Hall of Fame and Museum. The museum had historical law enforcement artifacts, many types of different police cars, a touch-and-feel kid’s corner, and a theater. The twins loved getting to climb into historical police cars, watching funny Sheriff the Dog cartoons in the children’s movie theaters, and dressing up as law enforcement officers and firemen in the kids’ corner. My teen was impressed with the historical law enforcement stories and real-life paraphernalia from notorious cases such as indicting Al Capone. • Children’s theaters: In theaters across the country, award-winning plays and scripts are being performed not only by adults but by a cast of talented children, too. The twins recently saw The Adventure of Treasure Island and loved the play. It was fascinating for them to see characters they had read about perform scenes from the book in front of them. Theaters for young audiences often offer discounted or free performances during the summer where children can see their favorite books brought to life. • National, state, and regional parks: The vast open space is the perfect setting for a wide range of learning opportunities, from forestry to camping. Families can learn about trees, animals, wilderness, native plants, and geographic elements on guided nature walks or during summer camping specials. National parks also have free admission and entrance days throughout the year that you may want to take advantage of. • Petting zoos and pick-your-own farms: As an urban family, an outing to a petting zoo is a great learning experience. The boys get to approach and touch various farm animals they don’t see on a daily basis. Also, lots of teaching opportunities present themselves when kids get to pick their own fruits and vegetables. Visit a pick-your-own farm and learn about agriculture and vegetation while having fun – and then bake a pie together that night with your pickings! • Zoos and aquariums: Almost everyone enjoys learning and seeing wild animals and sea creatures. Zoos and aquariums have programs designed especially for families in the summer. I’ve seen day camps where kids learn about African wildlife, deep-sea animals, bird watching, dolphin feeding, and more. • School summer programs: Saying the words summer and school together may strike fear and dread in children’s hearts, but actually many school districts offer various summer programs that students might find entertaining – even as they continue to learn. Math and science clubs, music and dance classes, fun day trips, and day camps where children receive one-on-one tutoring are usually free or a minimal fee for families living within the school’s zoning boundaries. Ask your child’s school or neighboring school districts for a list of summer options. • At-home activities: Looking for an activity to do at home? Many arts and crafts projects can be found online and created using items already found at home. Family-friendly sources for these ideas include: Scholastic, Scholastic Summer Reading, Barnes & Nobles (Free Summer Reading Books), Nick Jr. Summer Activities, PBS Kids, Disney Family , Disney Crafts, Michael’s Arts & Crafts,Backyard Exploration, Gardening with Kids, Summer Activities for Tweens and Teens. Even if your children don’t remember the exact lessons learned in the months before vacation, a summer that keeps kids’ minds active will mean they are primed to learn and will likely be quicker to recall last year’s lessons when they return to school. Summer’s here! What’s a mom to do with these kids? Will reality live up to their dreams? Joscelyn Ramos Campbell is a nationally syndicated columnist and talk-radio show co-host. She offers parents tips and resources from her hectic life as a military wife raising a teen son, identical twin boys, and a newborn baby on one of the nation’s leading Latina American sites,MamiofMultiples.com. It's Almost Summer... What can my child do to keep busy? The San Bruno Library welcomes teen volunteers for assistance with our Summer Reading Program. Summer Reading Program volunteers sign up younger children for the program, hand out prizes, assist at programs, and help with other library tasks as needed. The Summer Reading Program generally runs from the middle of June to the end of July. Teen volunteers must be 14 or older or entering 9th grade in the following September. Volunteers must attend one training session and volunteer at least two hours per week for the duration of the Summer Reading Program. Training sessions are usually scheduled in May (held in June) and potential volunteers must pre-register. There are a limited number of spaces for these volunteer positions. If you are interested in volunteering in the summer, please contact the Library towards the end of April/beginning of May and you will be contacted once the dates for the training sessions are available. In 2002, the City began delivering three camps annually: Mini Kaleidoscope (ages 3 ½ to 5), Camp Kaleidoscope (ages 6 to 10), and Adventure Camp (ages 11-13) throughout the summer months; Winter Vacation Camp for children ages 4-11 during the holiday break in December and, Spring Vacation Camp during the Easter break for children ages 4-11. In addition to these camps which are delivered at San Bruno City Park, the Summer Playground Program is for five weeks during mid-summer at Belle Air Elementary School for children ages 6-11. When the program first began in 2002, there were 155 participants and 13 recreation leaders. Today, the program serves over 2,000 participants and is staffed by 33 recreation leaders, and 30 volunteers from the Recreation Program’s Leaders-in-Training Program. The 2015 summer program enrollment resulted in an all-time record enrollment with approximately 225-250 campers per week over the 10 week program. Check out the Camp Kaleidoscope video below to see what Summer Day Camp has to offer! Visit our class registration page to sign up today! There is growing indication that the world needs people who can create jobs, not fill them. Technology is replacing existing fields, while global changes create new problems to be solved. Traditional schooling produces students that are knowledgeable but unprepared to solve ambiguous problems in this dynamic world. We created Launch Camp and its sister program, Two Week Business, to be authentic crash courses in impact. They empower students to take immediate action and enable them to benefit from the result. Most students will make money by the second day, many will have a sustainable business by the end of the session. Kids Cook With Heart / Teens Cook With Heart is the first American Heart Association (AHA) kids program in the nation to integrate hands-on healthy cooking and nutrition with cardiovascular health education, aims to change how children and families experience food and stay healthy on a budget. At the AHA we strongly believe in the ability of education to change behavior. 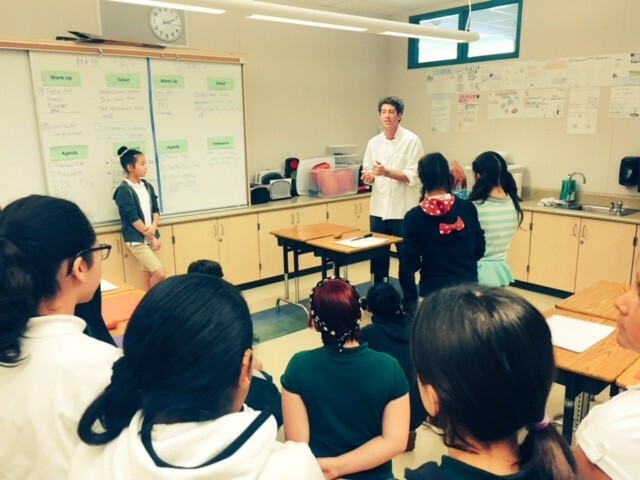 Teaching the next generation the ties between nutrition and preventative health we can create a healthier future. 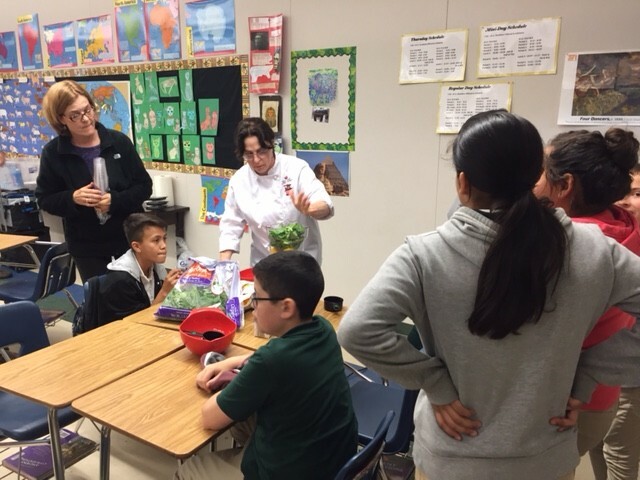 Chef Cheryl teaches the students to prepare the food and use the equipment for the day. Chef David talking about safety with culinary equipment and about safe food preparation. 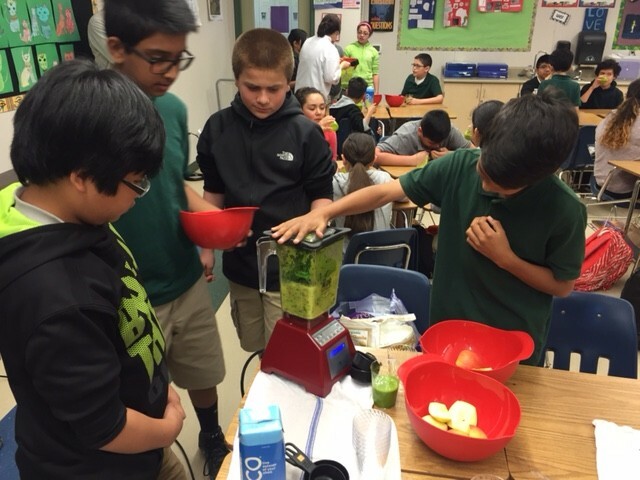 Students using kitchen equipment to create their heart healthy smoothies. In the 2016-17 School Year, the Parkside Counseling Department will be partnering with the Peninsula Conflict Resolution Center to train a group of student leaders to promote positive behavior, peaceful resolution and peer to peer mentoring at Parkside Intermediate School. Our children are able to do this and will be integral in creating the best school climate that promotes academic and social emotional learning. If your student is interested in taking this class and being trained as a Peer Mediator, please have them complete an application and return it to Sabrina Wilson. 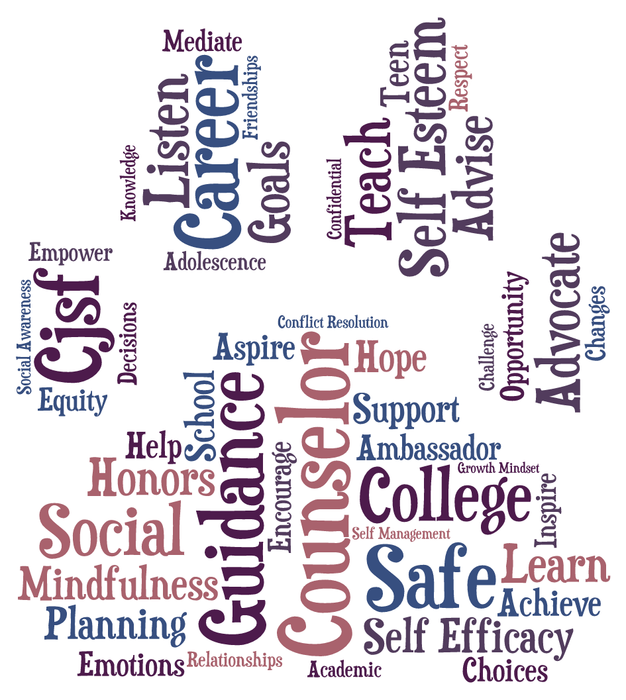 How does a Student see a School Counselor? If a student comes to the office to see a Counselor and no one is available the student can complete a Student Request for Counseling form. They may confidentially place that form in the Counseling request box at the front office and a Counselor will call the student as soon as possible. Middle School Counselor for all 6th Grade students and 7th Grade students with last names: A-K.
Middle School Counselor for all 8th Grade students and 7th Grade students with last names: L-Z. 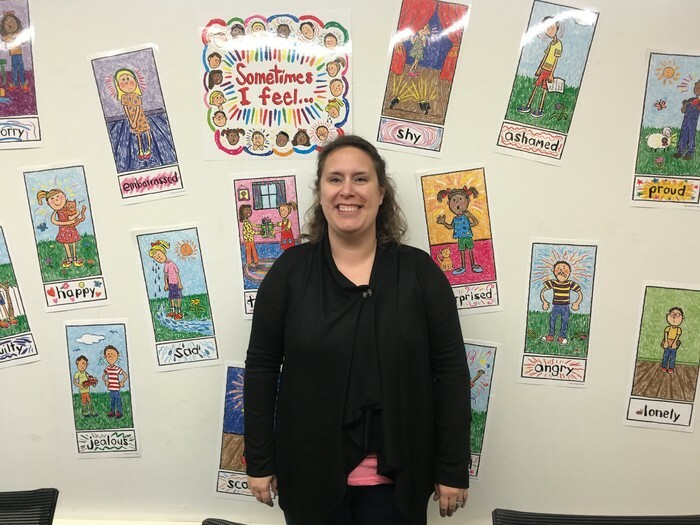 Elementary/Middle School Counselor available to students Wednesdays and Fridays by appointment.